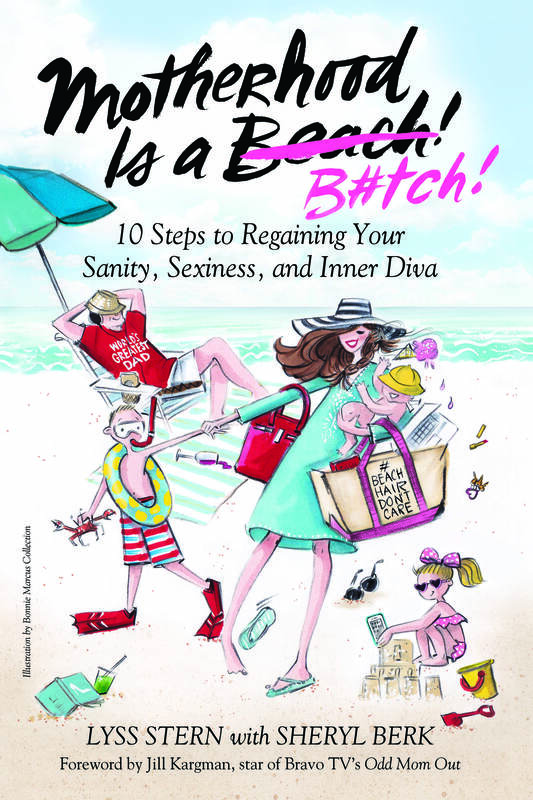 DIVA BOOK : Divalysscious Moms – Fabulous events for expecting, new moms, and families in NYC! On sale now at Barnes & Noble and Amazon!!! 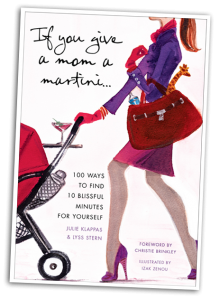 Also available for purchase, is Lyss Stern and Julie Klappas’s acclaimed book If You Give a Mom a Martini… 100 Ways to Find 10 Blissful Minutes for Yourself (Clarkson Potter). If brushing your teeth provides the only moment of the day when you’re truly alone and at peace, then this book is for you. Sure, you love your kids, but your pre-mom self (the one who savored a glass of wine after work and exercised on her lunch break instead of shopping for baby food) had its perks, too. The 100 “time outs” in this book are for moms who love their kids but also long for a few minutes when they’ve got nowhere to go and no diapers to change. Each tip comes from a real mom, including celebrities such as Kelly Ripa, Jill Hennessy, Keisha Whitaker and Shoshana Loenstein Gruss. Supermodel and supermom Christie Brinkley has written the foreword (and we love her for that). The suggestions for using your moments alone run the gamut from sweet to satiric – treat yourself to a single, beautiful flower for your bedside table or play kickball with your son and punt the ball really, really far. Try surreptitiously rearranging your Netflix queue so your movies arrive before your husband’s and kids’ do. Browse for bling at Harry Winston. Or leave the kids to shop with your husband and slip into Brookstone and rest in one of their giant massage chairs. Every good mom deserves a break. This book is a start – to chuckle over with your friends or really use when you need a precious respite. Click here to buy this must have book! !